The synodic period that is the time taken for the moon to complete a rotation of the earth is 29.5305 days or 29 days 44 minutes and 2.8 seconds. 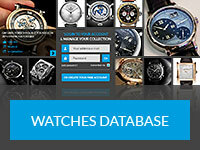 Watches fitted with a system to display lunar details show this simply as 29 1/2 days. This is usually viewed through a small port in the dial of the watch which is often decorated with stars and one or more moon phases. The number of days since the new moon indicates its age and these are typically 8 key phases. 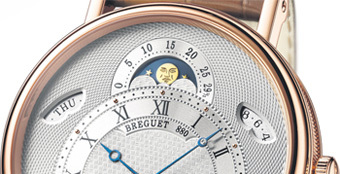 A lunar phase complication is usual for watches fitted with this system.